When you connect a Gmail account to Front, Front will sync your Gmail labels with your Front tags, including nested labels, as long as the channel is set to Gmail threading mode. If you use a different threading mode, tag activity will not sync between Gmail and Front. The tag sync also works differently for team inboxes and individual inboxes, so it’s explained more below. 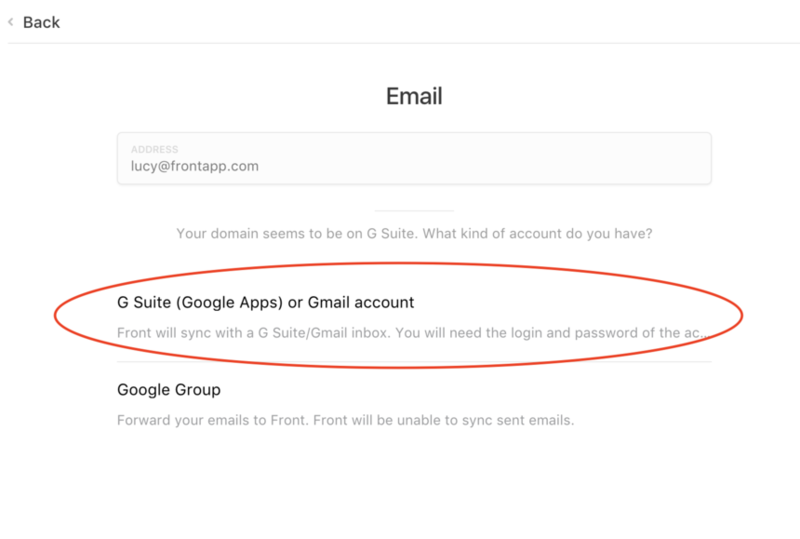 When you connect a Gmail account with Front as an individual inbox, we’ll automatically create private tags in Front for each of your Gmail labels (this happens alongside your email history auto-import). For a tag to be created, you must have applied the Gmail label at least once to a conversation that is being imported. Whenever you apply a label in Gmail, a private tag will be created for that label and applied to the message in Front. When you tag a message with a private tag or a team tag in Front, the message will be labeled in Gmail with a matching label. When you remove these labels or team tags in one system, the corresponding label or team tag will be removed in the other system. When you connect a Gmail account with Front as a team inbox, we will automatically import your Gmail labels as Front team tags. The process is the same as for an individual inbox. Whenever you apply a label in Gmail, a team tag will be created for that label and applied to the message in Front. Same in reverse — when you tag a message with a team tag in Front, the message will be labeled in Gmail with a matching label. When you remove these labels or team tags in one system, the corresponding label or team tag will be removed in the other system. If you apply a private tag to a message in a team inbox in Front, the message will not be labeled in Gmail. If you remove a label in Gmail that matches a private tag in Front, the private tag will not be removed. If a Gmail label name matches a tag that already exists, Front will not create a duplicate tag. The Gmail label will map to the Front tag that already exists with the same name. The same is true in reverse — if a Front tag is applied that matches the name of a Gmail label, then a duplicate label will not be created. If you have nested Gmail labels, Front will create tags using the same naming structure that Gmail uses when you apply a nested label: “Category name/Label name”. Front does not support nested tags, so separate tags will be created. 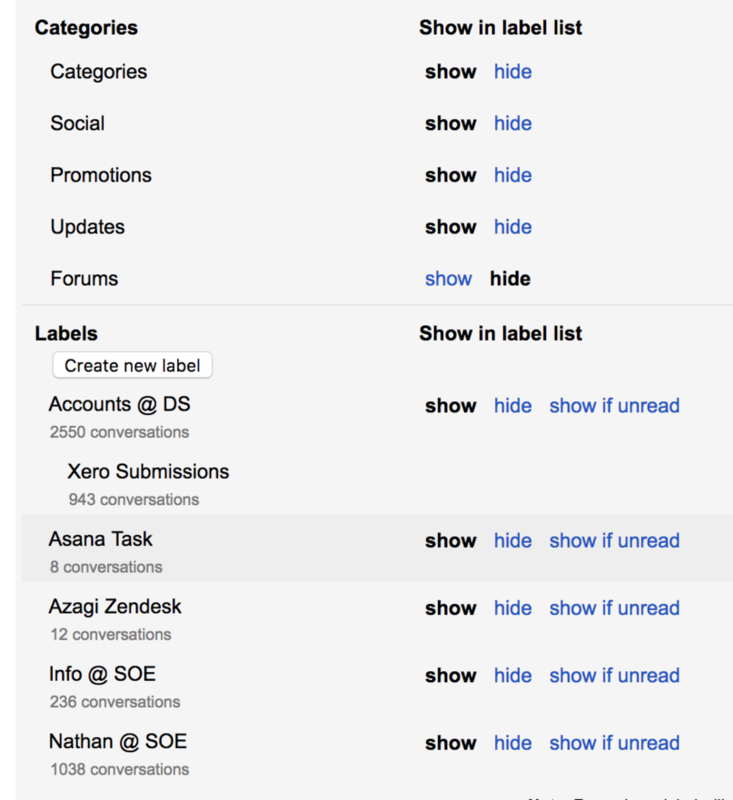 For example, say you have a category of labels in Gmail called Status, with the sub-labels To do, Underway, and Done. 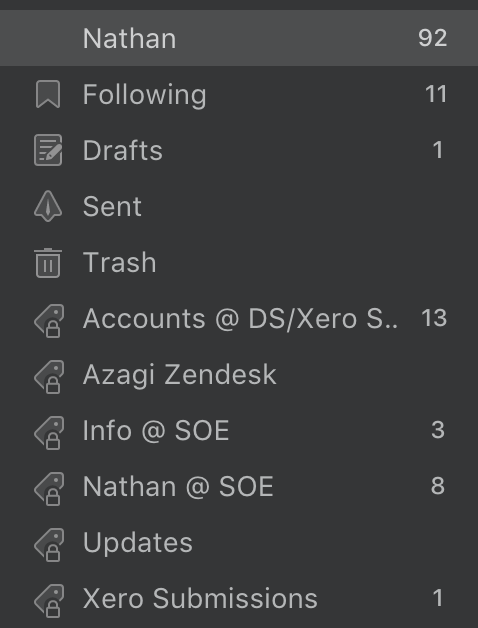 When you connect your inbox, Front will create three new separate tags called Status/To do, Status/Underway, and Status/Done. If you move a conversation from your inbox into a label in Gmail, we will apply the matching tag and archive the conversation. If you move the message between labels in Gmail, we will also update the tags in Front, and the message will remain archived. Unfortunately there is no way to avoid archiving due to Gmail’s API. 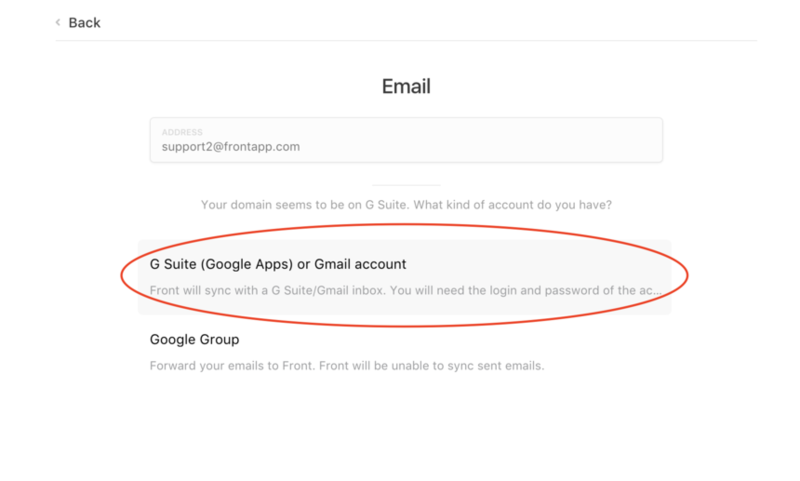 If this is an issue for your workflow, we recommend only applying the label in Gmail instead of moving the message out of your inbox into the label folder. When you delete a label or tag in one system, the corresponding label or tag is not deleted in the other. You will need to delete both the label and tag manually. The same applies for renaming tags and labels — you will need to update the name of the corresponding tag or label in the other system. Otherwise, you will end up with two separate tags or labels in the other system: one for the old name and one for the new name. For example, say you have an Urgent label with a matching Urgent tag in Front. If you rename Urgent to High Priority in Gmail and apply that label, you will create a new tag called High Priority in Front (in addition to the Urgent tag). To keep them in sync, you should update the Front tag to High Priority before using the renamed label. If you need a backup, you can export tag information via Front's API. Hi there, is it possible to "hide" certain labels in gmail from being synced to FRONT? E.g. if I have a filter that routes various non-important email to a gmail label and archives it, I don't want this email showing up in front. There's no way to exclude things from being synced to Front. However, you can create rules to automatically delete these emails if you want. Hi. Are there any plans to allow drag email to tag or tag to email in Frontapp? Tim Jasper Not at this time. You can use shortcuts to add a tag, though. As you can see below, Gmail labels the email 'Social' but this label is not syncing to Front. Any help on this would be greatly appreciated as my team is really struggling to embrace Front with this limitation. Nathan Barr Yes, Gmail labels now sync as Front tags. However, they will still appear in your inbox. You can add the tag so that it shows in the second pane (in your email list), and then you can customize your workspace to show these tags in a separate view. Does that make sense? Cori Morris thanks so much for getting back to me so quickly. My issue is that the Labels that are set up from the Gmail Categories - Social, Updates, and Promotions do not appear in Front at all. Nathan Barr We can run an import to sync your labels if you'd like. Feel free to email us to request this. Thanks Cori , request sent.